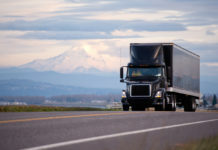 Need trucking forms? We’re constantly digging up new forms trucking companies need. We take the time to use different trucking form templates, order forms online, and test everything out ourselves. Not every form is created equal, many include company logos already on the forms themselves and recreating each one could take hours. Every time we write an article on new trucking forms we will link that up below. Think of this as one resource to get all of the forms you may need. Bill of lading forms is basically just a list of goods inside a shipment. Let’s say for example, that you’re shipping teddy bears from one warehouse to a seller. The warehouse would fill out a bill of lading (BOL) and have it signed by the shipping company, the trucker, etc. The shipping company would then have the consignee sign the form and keep a copy for their own records. A BOL form ackowledges that goods were sent from point A to point B. Need free bill of lading templates?